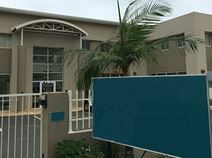 Just off Durban's business district, this building offers stylish offices equipped to a high standard with state-of-the-art technology, modern furniture, videoconferencing facilities, and meeting and conference rooms. A multilingual and professional staff offers a full range of support services to assist your business in your daily activities. Durban is the largest and most important commercial city in South Africa and represents the ideal place where running a successful business. The building is surrounded by a variety of amenities and is easily accessible. Located in the heart of the residential, retail and office hub of Umhlanga Rocks, these fully serviced offices overlook the Indian Ocean. There is 24/7 access to the fully furnished offices. There are professional reception services and call answering in your company name, courier services and 24/7 access to the building. There is high security and cleaning services, water and lights is all included in the rent. 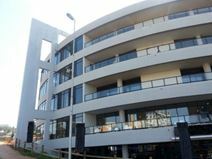 This is a unique opportunity of renting office spaces situated along the most dynamic and famous street of Durban. Technologically equipped and fully furnished, they are provided with a wide range of support services. They are ready to use and available at flexible rental terms to accommodate any of your needs. This is the perfect workspace solution for companies that would like to operate from a strategic location. Located just opposite to the Gateway shopping centre this business space benefits from an impressive amount of local amenities, ranging from trendy cafes to restaurants. There is a selection of fully serviced offices and collaborative spaces, ensuring your needs are met no matter the workspace you are looking for. All workspaces benefit from high speed wifi and great telephone connectivity. The airport can be reached quickly and you have easy access to the rest of the city using junction roads. Here, offices come fully furnished and on flexible terms. Other amenities include; desk with charging station, boardroom facilities with video conferencing, access to a community of innovative Individuals, showers, free tea and coffee and excellent transport links. There is a serene park to go and relax in right opposite the building as well as a park in the building which has access to the centre's Wi-Fi. Within the immediate vicinity, you can also find an abundance of hotels for visiting executives and clients. With Durbans CBD just 15 minutes away, this Westville business centre provides good access to the countrys busiest port and access to first-class offices and fully furnished meeting rooms. Pavilion Mall is just around the corner and it is home to various business from banking, finance and more. There are many other forward-thinking businesses at this strategic space with which you can network and collaborate. This brand new, high-quality centre enjoys an ideal business location, with excellent transport connections and breathtaking panoramic views of the ocean. Access to major motorways is easy, and the site is close to a great selection of retail, banks and eateries. The site provides high-speed internet, a reception area, 24-hour access, spacious meeting rooms and on-site management. There is secure onsite parking for your convenience to make your commutes as simple as possible. This is the ideal centre for forward thinking companies that value practicality, efficiency and convenience. With the International Conference Centre right across the street this dynamic downtown Durban business centre shares a site with the Durban Exhibition Centre, so as well as great executive suites and open-plan office space it is ideal for any companies that regularly exhibit products or services. Just 10 minutes away, you can find Durban Botanic Garden.